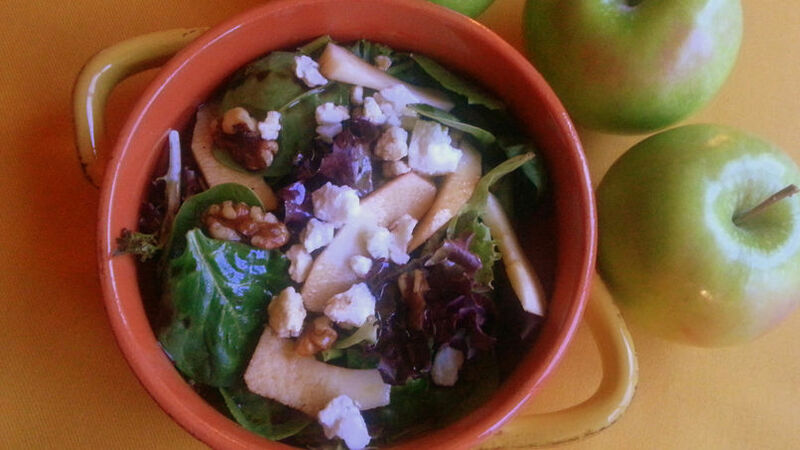 Toss lettuce in a bowl and add the apple slices, nuts and crumbled cheese. Dress with balsamic vinegar, olive oil, pepper and salt to taste. Use good-quality olive oil and balsamic vinegar. Serve immediately so that the lettuce won't wilt and the apples won't turn brown. Salads are a delicious and fresh option for the whole family. But... did you know you can also add fruits? Yes! Fruits add that extra flavor kick that will mesmerize your palate. The Granny Smith green apples are available all year round. They're perfect to combine with fresh lettuce and Roquefort cheese. Enjoy!